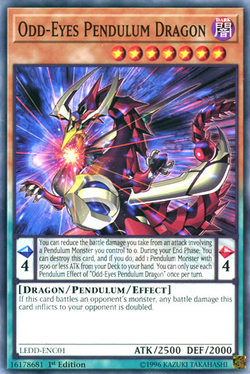 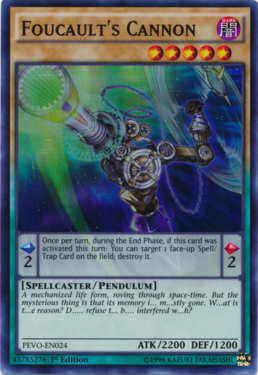 Pendulum Effects (ペンデュラム効（こう）果（か） (formatted as Ｐ（ペンデュラム）効（こう）果（か） exclusively in card text) Pendyuramu Kōka) are a type of effect card text unique to Pendulum Monsters. 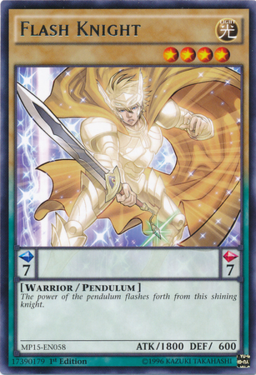 The Pendulum Effects of a Pendulum Monster are only active while in a Pendulum Zone. 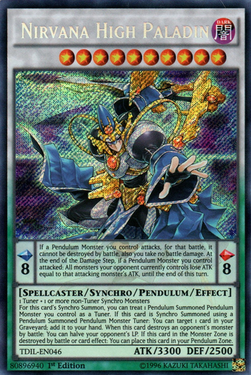 Any Pendulum Effects a Pendulum Monster has are written in small typesetting in a partially transparent box, which overlays the card image, between the Pendulum Scales and above the card description box. 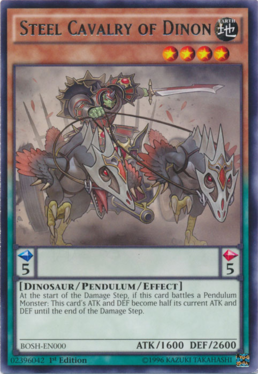 Even Normal Pendulum Monsters (which have no Monster Effects) may have Pendulum Effects. 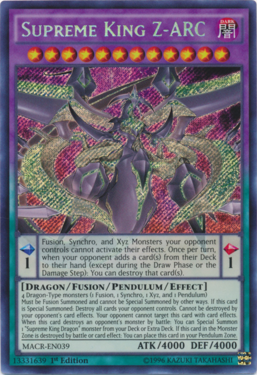 Not all Pendulum Monsters have Pendulum Effects; if they do not have any, the box is left empty. 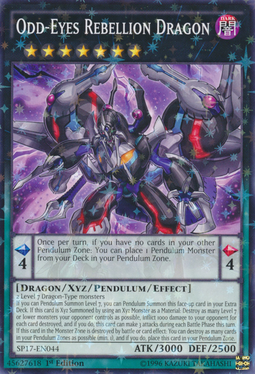 A Normal Pendulum Monster with no Pendulum Effect: "Flash Knight"
A Normal Pendulum Monster with a Pendulum Effect: "Foucault's Cannon"
An Effect Pendulum Monster with no Pendulum Effect: "Steel Cavalry of Dinon"
A Fusion Pendulum Monster with a Pendulum Effect: "Supreme King Z-ARC"
A Synchro Pendulum Monster with a Pendulum Effect: "Nirvana High Paladin"
An Xyz Pendulum Monster with a Pendulum Effect: "Odd-Eyes Rebellion Dragon"
This page was last edited on 21 July 2018, at 22:48.